Home Unlabelled WhatsApp Beta For Android Gets Verified Accounts : Here's How It Will Work! 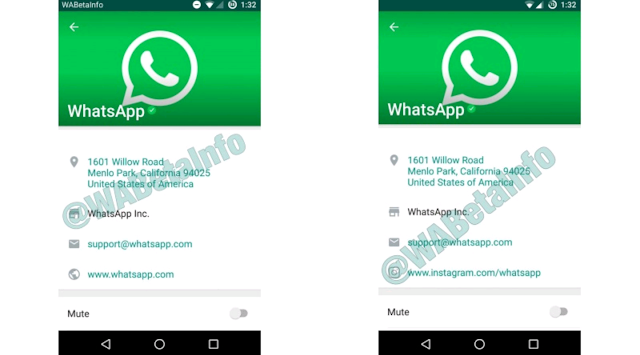 WhatsApp Beta For Android Gets Verified Accounts : Here's How It Will Work! WhatsApp verified profiles for businesses were reportedly being tested on the Windows Phone beta app, and now the company has come forward and announced how the feature will work on the Android beta version. With this announcement, WhatsApp has added another feature to its growing list of features introduced in 2017; another major feature coming to the app will be UPI integration for convenient money transfers. With this move, WhatsApp joins the ranks of Facebook, Instagram, and Twitter in having verified profiles, and taken a step towards increasing the convenience with which users can communicate with businesses on the platform. In an FAQ post regarding the new update, the Facebook-owned social media app said that some business accounts have already been verified by WhatsApp and that if you see a green badge with white tick mark next to a contact's name, you can be assured that it has been verified by the company as a business profile. "WhatsApp will also let you know when you start talking to a business via yellow messages inside a chat. There is no way to delete these messages from the chat. If you already have a business's phone number saved in your address book, the name you will see is the name you have saved in your address book," the company said in its post. In case you don't have a business' phone number stored in your address book, you will see the name that the business has chosen for its own self inside the app. Also, in case you don't want any business to bother you on WhatsApp, you will always have the option to block them, just like any other contact. The company has clarified that WhatsApp business verification is currently limited to a small number of businesses participating in a pilot program. WABetaInfo, which first spotted the feature, has pointed out that with the release of 2.17.285 version of the Android beta app, the way in which users can view a business account and the information that is available, has been revealed. As per the report, WhatsApp has updated its servers to improve the synchronisation of your contact numbers. In case there is a business contact in your address book, it reportedly will not download that contact again. The report also mentions that the new "Business Info" section, which can be seen in the image above, will come with information like the address of the business, the real name of the business, the mail address of the business, and its website. In case the business has an account on Instagram, you will also be presented with the link of that profile as well.